Family run traditional Freehouse, offering a warm welcome to all. 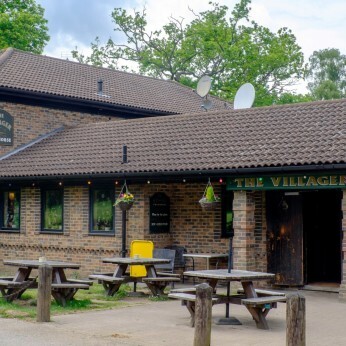 The Villager is a family run pub, as it has been since it was built in 1985. With plenty of regular entertainment, we are a venue second to none for seeing some of Kent's premier live bands. We're getting in early here at The Villager to celebrate St Patrick's Day, with a fantastic evening of live music from Andy & Chloe on Saturday. Exclusive offers on both Guinness & Jameson throughout our Happy Hour! Free admission of course, everyone welcome!